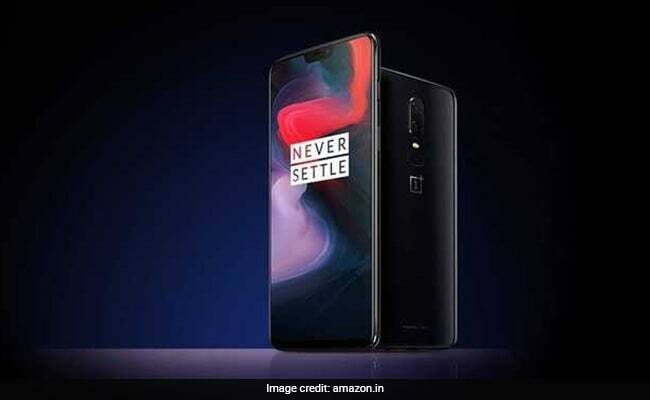 State Bank of India (SBI) is offering a cashback of up to Rs 2,000 on customers buying smartphone OnePlus 6 through Amazon India using the bank's debit card. This was said by the country's largest bank SBI on microblogging site Twitter. Monday, May 28, is the last day to avail the cashback offer, according to SBI. The offer is applicable on SBI customers making payment through the bank's debit card for a OnePlus 6 device on e-commerce company Amazon India's website, amazon.in. The offer is applicable on SBI debit as well as credit cards of brands Mastercard, Visa and Maestro, according to the Amazon India website. 1. The cashback is valid only once per card account. 2. How to avail: The user has to follow the normal purchase process on Amazon India to avail the offer. "There are no other special steps to avail this offer," according to the Amazon India website. 3. Minimum transaction: The minimum transaction amount to avail cashback is Rs.28,000. "The cashback will be calculated on the net amount paid on the card for the OnePlus 6 smartphone (after an exchange offer, if applied) in a single transaction," Amazon India explained. That means after applying any discounts or selecting an exchange service on Amazon India, the customer is required to make a transaction of at least Rs. 28,000 to avail the SBI cashback under this scheme. 4. Mode of purchase/payment: The offer can be availed on purchases made through Amazon India's website as well as mobile app. SBI's cashback offer can also be availed on cart payment on delivery. However, please note that the facility of card on delivery payment is subject to availability of the card accepting machine at the time of delivery, the e-tailer mentioned on its website. 5. "In order to not lose out on the offer, we highly recommend that you pay with your card online at the time of placing the order," Amazon India said. "Net banking transactions are not included," it added. "Any query / issue in relation to the cashback will be entertained by Bank only till September 28, 2018. Post such date, Bank will not entertain any correspondence or communication regarding this Offer or the cashback from any person," according to the e-commerce website.